Inco Mechel is one of the largest Indian companies in the field of capital equipment for the sports and leisure industry. Inco has exclusive marketing rights for some of the best-known names in the world. Inco Mechel, established in 1984, a part of 50+ year old Allstate Group (www.allstate.in) of Mumbai, offers capital equipment for sports & leisure like Ten Pin Bowling Equipment, Snooker/Billiards & Pool Tables, Jet Water Crafts & Boats, Ice Skating Rinks, Snow-making Equipment, Golf Simulators etc. Inco offers a comprehensive consultancy package inclusive of infrastructure mapping and design and equipment installation. 901, Maker Chambers V, Nariman Point, Mumbai - 400 021, Maharashtra, India. Jay Export House, one of the leading manufacturer and exporter of sports goods & handicrafts, has made waves in the industry with its quality products such as billiard tables. Manufacturer, exporter and suppliers of team sports equipment, marble slated kharappa slated, ittalion slated, LB presents Home use quality of oustanding Billiards table. The legs are made from Red sheesham ment for durabilty and Termite resistance. 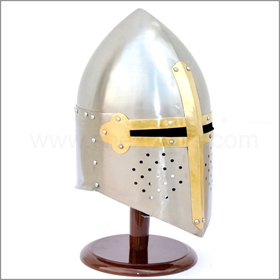 Straight frames with 10\\ of hardwood frame of 2 inche proved maximum strength. Nut bolt used r zinc plated 12 in sizes form durability and weight restance. Cushion wood are single in pice mounted with butyl rubber pasted with natural gum." 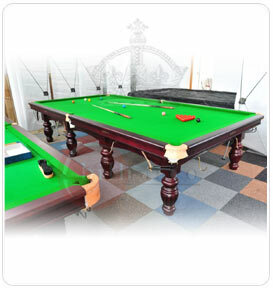 Manufacturer and exporter of billiard tables. 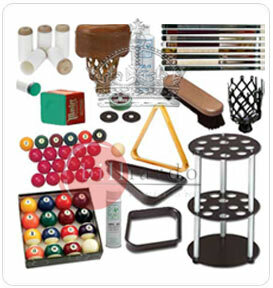 We are leading manufacturer and supplier of billiard table, pool table, snooker table, table tennis table, air hockey table, billiards accessories, billiard stick, billiard table cloth, aramith billiard ball, aramith pool ball.